DIRECTV continues to step up its game for legions of fantasy football players across the country with the DIRECTV FANTASY ZONE channel, a live fantasy football show available exclusively to NFL SUNDAY TICKET MAX subscribers every Sunday afternoon during the coming NFL regular season. The new fantasy channel will air on DIRECTV channel 704, right next to DIRECTV’s popular RED ZONE CHANNEL, and will offer the same fast-paced intensity. 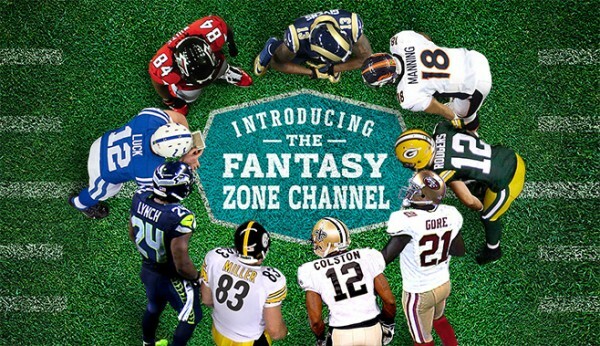 The DIRECTV FANTASY ZONE channel will provide timely game-to-game fantasy analysis and statistics powered by NFL.com Fantasy along with multiple, revolving on-screen tickers offering real-time stats, highlights, projections and key player updates. Hosting the show will be Kay Adams, NBC Sports and Rotoworld.com analyst, and Dhani Jones, former NFL linebacker, who will serve up fantasy football commentary and analysis throughout the full slate of Sunday afternoon NFL games. The show will also feature fantasy football expert John Hansen, well known as an elite fantasy football analyst through his work on SIRIUS XM’s fantasy sports radio and at FantasyGuru.com. Rounding out the DIRECTV FANTASY ZONE team, Dr. Mark Adickes, M.D., an acclaimed orthopedic surgeon and former offensive lineman for the 1991 Super Bowl-winning Washington Redskins, will provide expert analysis regarding injuries and their impact on fantasy teams during the season. Included in the NFL SUNDAY TICKET MAX package, DIRECTV FANTASY ZONE further enhances the NFL SUNDAY TICKET experience. The exclusive DIRECTV package is the only way to watch every out-of-market game, every Sunday afternoon – all in HD, on TV, the computer, smart phone or tablet. Go to www.DIRECTVdealer.com/iaas today to learn more about our NFL SUNDAY TICKET offers.